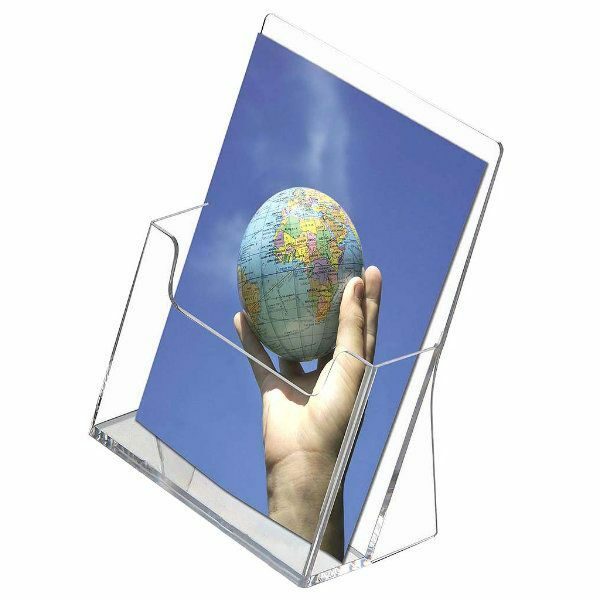 Highly resistant transparent countertop brochure holders. 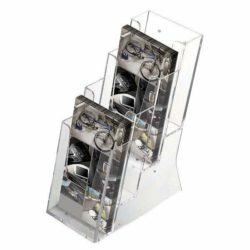 Suitable for the display of all types of documents such as catalogues, brochures, cards for every need, etc… These high quality injection molded leaflet dispensers can be screen printed with logo on your request. 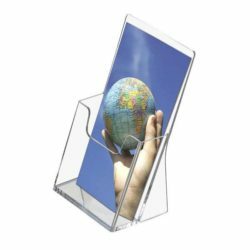 COUNTERTOP BROCHURE HOLDER This brochure pocket or also known countertop brochure holder provides excellent price point with visual appeal. It is crystal clear allowing easy viewing and features a low front cut out providing easy reach to your leaflets. 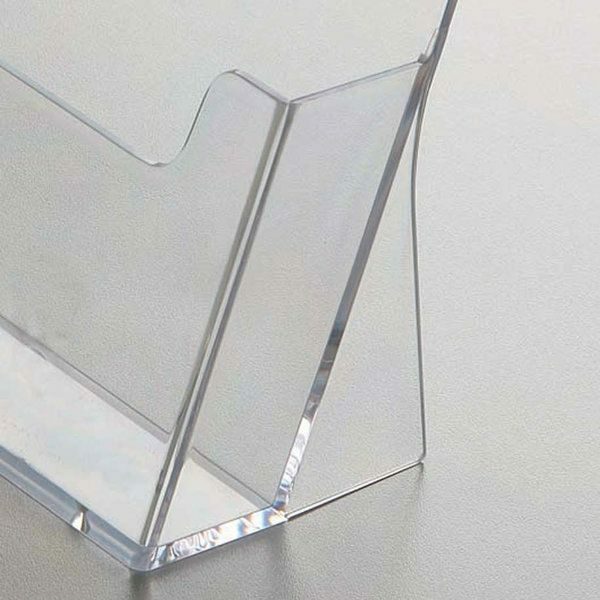 This slant-back leaflet dispenser is designed to be displayed on counters with its back support. This countertop brochure holder or in other words countertop display case made from injection molded plastic and holds 5.5″ x 8.5″ leaflets. Brochures make the sale! 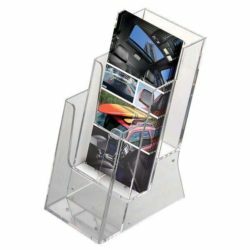 Help draw attention to local attractions or special promotions by placing these countertop display cases in common areas. 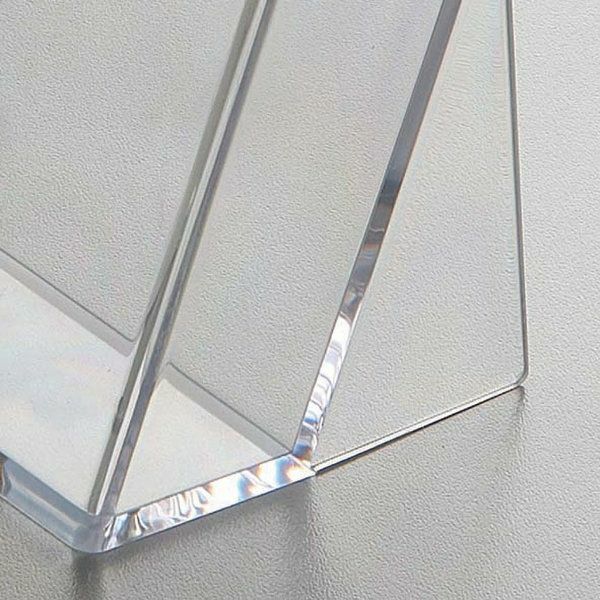 Add a unique touch to your countertop with our stylish yet affordable countertop display cases while informing your customers on your products and services. 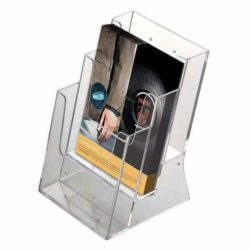 Countertop brochure holders for business or advertising with for retail stores, pharmacies, supermarkets, and hair/nail salons.